You know how you feel after a really good game or workout: every muscle is tired, sore, or at least aware that it has been used. You've probably even felt it in far-off parts of the body and wondered, "When did I use that muscle?" When you're working at the highest possible level, you know that it requires every muscle, every tendon, and every sinew to be at its best and contribute its full share of power to the smooth, pure functioning of the body. What if one part of your body isn't functioning properly? And what if that one part of your body affects another part? And what if that affected system is your spine, the core of your body, the binding frame that holds everything else together? Wouldn't that affect your performance? If your jaw is out of alignment, that's exactly what's going on. When your jaw is out of place, it can affect the alignment of your spine, putting it under stress and out of alignment. As a result, you can suffer dramatically reduced performance in terms of strength, balance, and flexibility. 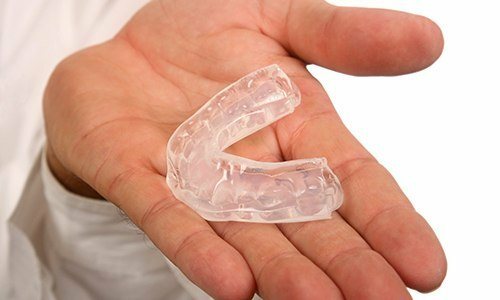 Traditional sports mouthguards are crafted to protect the smile during any athletic competition, but they aren’t necessarily made with your comfort and bite alignment in mind. That’s how a custom neuromuscular sportsguard is different. Athletes often report mouthguards trigger their gag reflex, leave their jaw feeling sore following a game, or impede breathing during athletic competition. With an estimated 90% of Americans reporting issues with the alignment of their bite (the way teeth fit together), neuromuscular sportsguards offer a better solution compared to traditional guards. In addition to protecting teeth from damage during sports, a neuromuscular guard keeps the jaw in proper alignment, allows patients to breathe deeply and unimpeded, and is completely comfortable. Best of all, this made just for you sportsguard offers improved protection. The number of professional athletes who are using the neuromuscular sportsguards to increase their performance is substantial and continues to grow. High profile athletes in baseball, football, hockey, and kickboxing have all seen significant results from using their custom mouthguards. Dr. Alex Naini has fit players from the Buffalo Bills, the Detroit Lions, and the Washington Redskins. But anyone involved in athletics can protect their smiles with a custom neuromuscular mouthguard. Golfers, cyclists, runners, swimmers, tennis players, and strength trainers can all see significant benefits. Whether you're trying to shave a few strokes off your handicap, beat your personal best, or just get a leg up on your weekly tennis partner, the right sportsguard can help. In addition to increased comfort and jaw function, the neuromuscular mouthguards can also decrease risk for concussion. 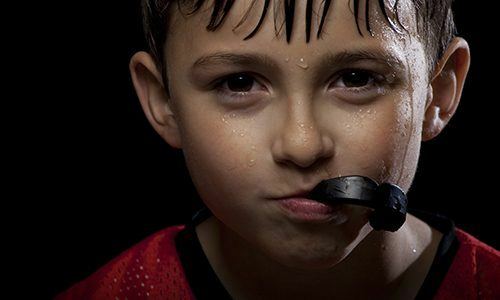 Sports-related facial trauma is possibly the leading cause of concussion, and a custom neuromuscular mouthguard can help protect our athletes from this risk. 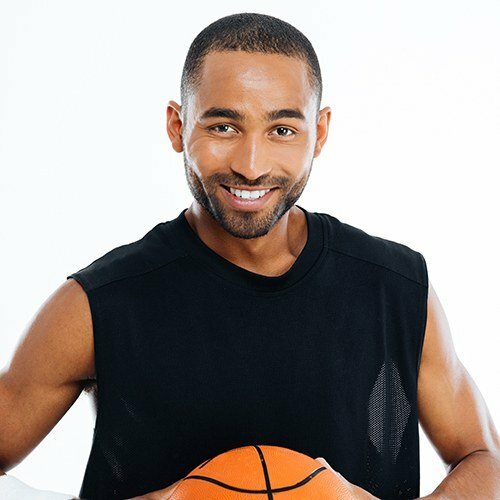 If you are interested in improving your performance with a sportsguard, contact the Aesthetic Dental Spa in Vienna today for a consultation.